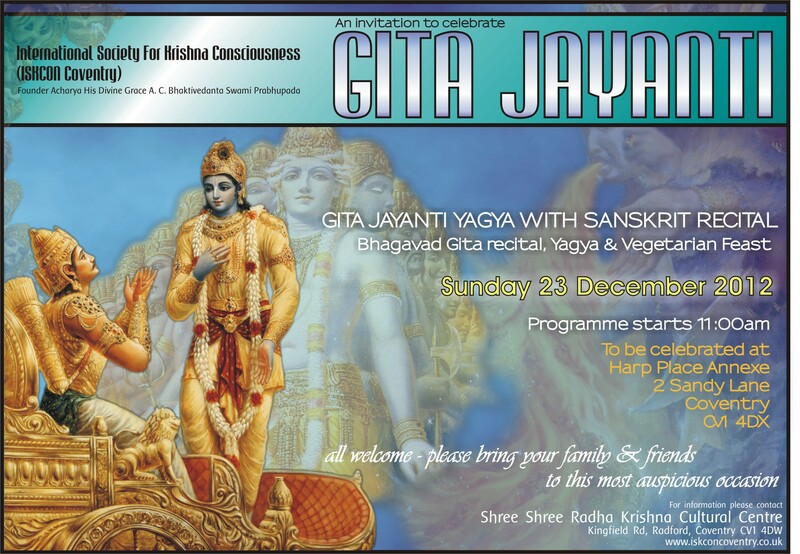 On Sunday 23 Dec 2012 we shall be celebrating Gita Jayanti, the day Lord Krishna spoke the Bhagvad Gita to Arjuna. On this day we shall recite the complete Bhagavad Gita and make offerings to the yagya after each shloka. Please join us in celebrating the Bhagavadf Gita and prasad will be served thereafter. Evening arti will take place at the temple as usual at Kingfield Road Coventry CV1 4DW.